Fallout 76 is a technical embarrassment in 2018. Even Fallout 4 felt dated back when it released in 2015. And now Bethesda's Todd Howard has confirmed that the developer is using its same old creaky engine to power Starfield and The Elder Scrolls VI. God help us all. For those out of the loop, Bethesda's Creation Engine came into being with The Elder Scrolls V: Skyrim, but the foundations of the engine have been in play for a lot longer than that, dating all the way back to The Elder Scrolls III: Morrowind. Every Bethesda Game Studios title since then has been built using that same software on some level, although obviously, the developer has improved it over time. The issue here is that the engine has never been very good, at least on a technical level. Last-gen titles such as Fallout 3 and the original version of Skyrim ran badly on the PlayStation 3, and Bethesda's now infamous for its buggy, glitch-ridden games. There was some hope that the studio would finally ditch its engine for its supposedly next-gen titles, but again, according to Howard, that ain't happening. "Fallout 76 uses a new renderer, a new lighting system and a new system for the landscape generation. For Starfield even more of it changes. And for The Elder Scrolls 6, out there on the horizon even more," Howard tells Forbes, confirming that future games will indeed utilise the Creation Engine. "We like our editor. It allows us to create worlds really fast and the modders know it really well. There are some elementary ways we create our games and that will continue because that lets us be efficient and we think it works best," Howard explains. Now, let's not jump the gun. Maybe Bethesda will make drastic improvements to its engine with Starfield and The Elder Scrolls VI -- maybe there's nothing to worry about. But given the developer's history, we struggle to find faith. 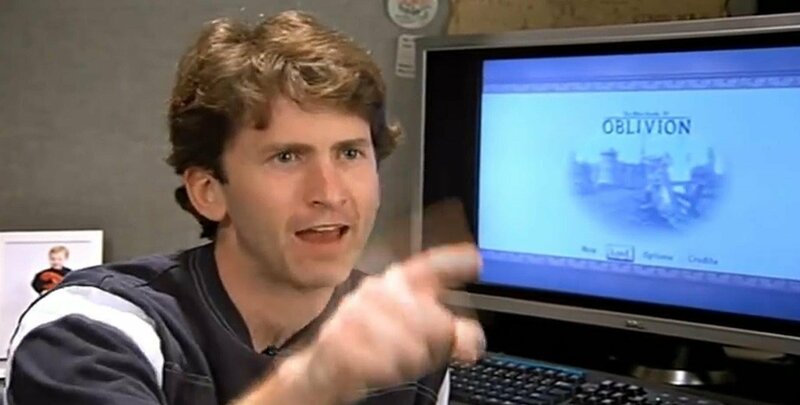 Put it this way: if we're sitting here in three, four, or five year's time, playing The Elder Scrolls VI, and the game's struggling to hit 30 frames per second, we're going to lose our minds. Oh no, for the love of all that is holy in life and death, please don’t make ES6 a mess. It needs to come out on top, but has so much complete now. Oh please meet expectations. You could do some possibly irreparable damage if you mess it up and it doesn’t come out as one of the best things ever made. Oh for the love of all that is good just make it work or make a new freaking engine! i wonder if the people that voted for them are now sorry for their decision. probably not though,since most people just forget the bad things bethesda do after a few weeks because of their pc master race stance. Oh boy, can't wait to play Elder Scrolls 8 using the same engine as Elder Scrolls 3. I’m not nearly as excited for these games now if it’s not a new engine... they have A LOT to fix if they want to make it work next gen.
@Deadlyblack they will most likely just rely on the pc players to fix the game for them with mods as they have been doing since atleast oblivion. shame for us console players though,but then again supporting a company that has been making bad decisions and even being hypocritical in some ways as of late,doesn't belong in my future to buy list anymore. i like TES games,but i can't stand bethesta's figure heads anymore. @jdv95 With the amount of bugs and problems that Fallout 76 has, and Bethesda saying the game is a "work in progress" on release, I wouldn't doubt if Bethesda is hoping for players to fix the game for them. I'm also starting to feel kind of bleh towards some of the guys at Bethesda, especially Hines. Straight up don't give a damn about the engine though, it could literally stop working like the PS3 version half way through, as long as they got Jeremy Soule on the beats it's an instabuy from me. @Deadlyblack with fallout 76 being an online game,i don't think modding will be allowed though. also this quote:"We like our editor. It allows us to create worlds really fast and the modders know it really well. so they are kinda saying that they keep the engine because of the modders. so why even release these games on console then if they are going to be affected by a outdated engine that only 1 specific (huge) part of players will "benefit" from while the other half only suffers because of it. i know that not being able to mod is because of the console makers not wanting that to happen (yet) but then it is also up to the developer to either create a new engine so all parts of the players can have a smooth game or just don't release on the systems that won't be able to benefit from an outdated engine. Don't worry the remaster will sort it out. Give him few more minutes and I'm sure Todd will explain how this is all Sony's fault. @jdv95 a lot of people liked Fallout 4 on PS4, and the Slyrim PS4 release was excellent. The engine is ropey but let's be honest, it's not like they are making horrificly poor games. Fallout 4 is the only Bethesda game I've paid full price for. Everything else is £10 or under. Nice to know that's not changing anytime soon. Maybe Elder Scrolls 6 remaster number 10 will bring a new engine! Morrowind came out in 2002, move on already! I don’t understand the outrage. Most games I play look like they are running on engines that have be iterated on for the last 10 years or so. Red Dead Redemption 2, Black Ops 4, AC Odyssey...It’s normal. @Wesker Yeah but all you need to do is look at those games and then look at Fallout 76. It might be a multiplayer spin-off, etc, etc, but even Fallout 4 looked ugly and ran badly when it released in 2015. I don't think it's a stretch to say that since Morrowind, Bethesda Game Studios hasn't released a single game that's ran well at launch. I already decided I was going to pass on future Fallout and ES games, and this is only strengthening my resolve. Fallout 3 and Oblivion were revolutionary when they first came out, but Bethesda has been stuck in the past development-wise for years now. Personally, I find this outrageous and I'd be ashamed to say this to the public. They use the same engine, albeit modified, they say they are familiar with it and we still get same buggy uninspiring games. I had high hopes for their next gen games but this left me disappointed. @ShogunRok I haven’t seen anything of Fallout 76, but Fallout 4 was a quality game. Bethesda are trailblazers when it comes to open world RPGs. @Wesker Don't get me wrong, I tend to love Bethesda's games as well, but there comes a point when I just can't see the engine as a good thing, if only for the technical performance. There's this engine capable of producing great open world games, it's called Decima. Horizon used it and Death Stranding will use it as well. Apparently it also lets you develop pretty effectively. Bethesda, just borrow that from Sony. I'm sure they'll even let you if that means we finally get a Bethesda game with decent performance on a Sony system. Also, I can't wait to play The Elder Scrolls 76 online with my friends. There will be no NPC's, but you can send dragons at other players to destroy their settlements. A lot of engines - inc Unreal 4 and Frostbite 3 have core elements from previous generations - not entirely new. They are iterative upgrades with some new and/or updated features bolted on. The latest iteration of Frostbite may well have Ray Tracing support built in for example and some optimisation improvements. Just because some may say 3 or 4 after the name, doesn't mean they are entirely 'new' but more iterative. Others, like Bethesda's Creation engine or Rockstars RAGE engine may well be the same named engine as we saw 10yrs ago in games but they may also have a lot of upgrades done too. I do agree that Fallout 4 and 76 were not that 'pretty' looking and seemed to be little better (other than higher resolution) than Fallout 3 but that doesn't mean Starfield will look bad - it could look great because the assets are all new, Elder Scrolls 6 too as the character models for example could be new with much higher polygon counts. Keeping the same engine can be a good thing as the devs are familiar with it, its quirks etc and the performance of games like skyrim on PS3 was more down to the PS3's design than the engine as it ran well (not perfect but well) on other formats. I’ve thought for years that out of all the engines AAA Devs use this has been the worst. It struggled with ladders, correct? Y’all think that’s outrageous? Did you know that literally all computers are using the same binary language as they were back in 1938? Sure, there have been little updates here and there, but everything you do with a digital device is using that same language. What a rip-off! @BAMozzy Are you lost? This here’s where people complain about things they don’t understand, not make logical arguments that take thought and reason. How unfortunate and annoying. Imagine a single player Elder Scrolls game with a world that looks as pretty and polished as they do in Horizon or RDR2. @Jebadeiah , trying to draw a comparison between machine code and Bethesda's laziness is a pathetic attempt at apologetics on their behalf. Obviously development advancement is iterative, built on established foundations until new ones are needed, so Bethesda's development record needs to be compared to the records of other companies that work on iteratively upgraded engines. A good subject, I think, is FromSoftware, namely their work with the Souls series. Going from Dark Souls in 2011 (same year Skyrim released) to Sekiro, we can see a pretty massive leap in performance and capability, in comparison to which the jump from Skyrim to Fallout 76 completely pales. Even considering that Havok is third party, a company as large and well funded as Bethesda should be more than capable of funding and staffing the advancement of their in-house software. Bethesda's lack of development of the Creation engine, as well as their cop-out line of "modders knowing it", just illustrate how lazy the company is and how much they rely on modders to fix the glitch-ridden messes they like to call games. Stop shilling for these corporate pigs in a vain attempt to validate yourself and your fandom - they don't care about you. They only want your money, and they will continue taking it in exchange for low-effort garbage products as long as you keep throwing it at them. If we hope to see any change in these practices and this apparent laziness, customers have to refuse to buy and force Bethesda to get with the times. A more modern engine would have been great, but Elder Scrolls 6 will likely still be an excellent game nonetheless. I would have more faith in future Fallout and TES games from Bethesda if they had ever fixed the performance of Fallout 4. After 3 years the frames still drop in various city locations, and FAR Harbor still has very bad frame rates while in many outside locations. The mods for clear weather, no fog, and no god rays do improve the look of the game, but even with that Far Harbor has frame rates in some locations that make me dizzy. Nuka World has good frame rates so why not with Far Harbor. I don't know why, and it appears that Bethesda also does not know why. I'm sure TES6 & Starfield will be the same. Whew, two games I can definitely cross off my list until they go on sale. Yes, we'd all like to see Bethesda fix bugs that were reported six years ago. But they don't, and a new engine isn't going to change that. bethesda is the only developer on earth complacent with its shoddy engine. i don't understand it and never will. a company that can't be bothered to improve and is fine treating its fans like crap every chance it can get (broken games on launch, bugs galore that never get patched, poor performance). wow, glad i'm not someone who needs to deal with that. not being a bethesda fan is great! @Imagremlin hey, i thought i got rid of you gremlins! Anyone who finds this news a surprise, hasn't been paying attention. Bethesda is a dead man walking. Rockstar use their RAGE engine and made RDR1, GTA IV, GTA V and then delivered RDR2 which is one of the most impressive games I have played. Bethesda is no different with their Creation engine. The engine gets massively overhauled and updated in every department. The amount of tear streamed faces and hand wringing in these comments are laughable. @ShogunRok The performance is dictated more by the plaform. Red Dead on the PS3 and Red Dead 2 on the PS4 may give you some insight into that. Are you suggesting the PS5 will not improve on the PS4? "our modders know it really well" - translation, "we are too lazy to actually develop a new engine"
My God, please get a clue Bethesda! It doesn't just work! FFS! @Salt_AU Are you suggesting Bethesda's games aren't a mess on every platform? GTAIV, RDR, and GTAV were not bug riddled, clunky, ugly, outdated messes! Rockstar's engine holds true to the adage "If it ain't broke; don't fix it". They actually know what they're doing. They care about putting out a quality product. They have respect for their craft and the work they put in. Bethesda's modified Gambryo engine is broken! It's an absolute mess, and to suggest otherwise is completely intellectually dishonest! They should absolutely ditch it for something else. I've heard this before and it's true, if Bethesda made cars they'd be out of business and have dozens of class action lawsuits. If they made literally anything else, they'd be done. Why do people let them get away with pushing out shoddy products in the AAA gaming industry? Because people like to shill them. Hmmm.... Where is this happening I wonder? Many if not most developers use the same [base] engine for many years, like Codemasters, Rockstar and Ubisoft for example. So it's nothing unique for Bethesda to be doing this, although they do seem to hang on to the same engine for much longer. The issue for me, is that Bethesda always gets a pass by the media, on issues that are seen as game-breaking in other franchises and games, like Assassin's Creed for instance. The Bethesda games have usually been OK to me, never 'great' or 'very good' ... just 'OK', apart for a game-breaking bug in Skyrim on the PS3, which literally prevented me from finishing the game. I admit I don’t know much about game engines, but if they keep changing every aspect so that all elements are improved, doesn’t it become a bit like Trigger’s broom? Combining the buggy engine with the bored and uninspired voice acting of so many of the NPCs you bump into in these games and I become less and less excited for each announcement. Quite a contrast to their more linear titles such as Doom and Wolfenstein which are of a much higher standard. I find it funny he would mention "modders" in the same interview he mentioned Fallout 76, because we all know that game won't have fan made mod support. @ShogunRok Fallout 4 on the PS4 was absolutely fine. What was your problem with it? @kyleforrester87 Lets be honest the games they bring out are so buggy it a joke. Elder Engine would be the perfect name. The first Elder Bethesda game I bought was Skyrim on Switch. What a deception! It has the same bugs as the vanilla version. The game is uninteresting. And I won't be buying another Bethesda game any time soon. Also fans and critics can't be trusted since everyone idolises Bethesda's games for no reason. just look how many times they re-released skyrim..
@BAMozzy Iterative, yes. But these iterations are only as strong as the foundation from which they were originally built. Gamebryo just isn’t a great foundation. @Salt_AU Now I'm questioning whether you've even played Fallout 4 on PS4. Comparing Rockstar and Bethesda's engines is laughable. Rockstar's engines have bugs but nowhere in the same ballpark that Bethesda's dinosaur engine does. Even when the engine was good it was rubbish. @NintendoFan4Lyf Whilst I do agree in part, it can also depend on what work they do on the engine and whether or not they iterate on the parts that maybe causing the issues. They may make the engine better optimised and fix the frame pacing issues and thus fix one of the big problems they have had. Fallout 4 may well have be built on Fallout 3 using some assets etc that were not well optimised maybe not looking to deep into the engine refinements either as the game may well be built out of Fallout 3 which then had some assets replaced and new scenery dropped in which then had a similar build process for Fallout 76. More minor iterative tweaks - like bolting on something to handle base building, then bolting on something to help the MP with minor tweaks to the lighting part of the engine - but because its built on top of Fallout 3, the same issues persist. Those issues may not be present at all on a game built from the ground up with all new assets etc - even if the engine is basically the same. If the issues are related to the way they built Fallout 3 for example, just replacing the newer assets and a different environment probably won't fix the game. It could be a line of code that has persisted throughout that's caused the problem but because the game is different, built from the ground up today, that code won't exist and so the engine may well perform perfectly well. Same engines can be used to make a lot of different games and some of those games will perform very differently. You also have to factor in that the PS3 was notoriously difficult for multi-platform games. The games that were purpose built for PS3 could be tailored specifically to maximise its advantages and minimise its weaknesses. If the necessary RAM to render the scene was too much for PS3's 'split' arrangement, Devs can change that scene to reduce the RAM - something they can't really do for multi-platform games. It might not be the 'core' part of the engine at fault - maybe a mistake by the developer that has persisted through several sequels because the game isn't 'entirely' new but built on top of the previous game. That foundation can also be improved, updated and be better optimised as well. @BAMozzy Agree with all you said. I will remain cautiously optimistic, though. Maybe the reason these new titles are so far off is because they are working hadd to improve the engine to “modern” standards. I do hope Bethesda takes a hard look at the problem points of the engine and really strives to improve. I have a fair amount of experience with their games, despite only “finishing” one game. I have Obivion on PC and wasn’t a fan. I have Fallout 3 on PC and wasn’t a fan. I also found it to be rather buggy - sometimes even crashing on load. I finished the main story of Skyrim on Switch and it was decent. I played Fallout 4 on PS4 Pro but didn’t play enough to form an opinion. I think the main problem with these games is that Bethesda is a little too...ambitious - and not even from a graphical standpoint. I know they want a world to feel alive, but the AI for NPC’s and enemies just gets...wonky. It breaks the immersion. When cheesing an enemy is a viable and repeatable combat tactic, it’s time for a new look at AI. Does every NPC really need to have some life pattern? Also, from a game resource standpoint, does every item really need to interact with the world? Does every book need to be readable? Does everything need to be collectable? It’s great attention to detail, but it’s also hardware resources that can be used elsewhere for more...important stuff. Unfortunately, they backed themselves into a corner with that because it’s fully expected now. Anything less would raise backlash for the fans who “live” in these worlds for hundreds upon hundreds of hours. Graphically, there is always room for improvement. I think the environments can get very picturesque from a distance, but once you are up close, the blemishes are apparent. Still, it’s the strongest part of these games - and definitely screenshot worthy work there. Bethesda really needs better animators! Everything is just so stiff! Anyways, let’s hope things will improve now that consoles (minus Switch) share the same architecture as PC. @ShogunRok he either did and just doesn't care if it's a buggy game since he comes accross as the typical fanboy with the way he just can't handle vallid critisism towards Bethesda (or is atleast acting like one) or if we are to take his username as a hint,he just made this account to post controversial post in order to get some attention. Either way it's clear that you can't have a nice civil discussion with that user because of his stance regarding Bethesda or any goal he's looking for,so just leave him rambling on. As a mod user (and pc gamer) I am ok with this. I think if I played on console though I'd be upset. I've heard some horror stories. My biggest gripe with games developed on this engine is how physics are tied to framerate, so running these game at anything above 60fps essentially breaks the game, so if you have a beefy pc you can't even put its full power to use. I made an account just to say this is the biggest journalistic crock of crap i've heard in a long time. Suddenly someone using the same Fundamental Engine is this massive crime yet Unreal can do it every couple of years and get heralded as innovators? Get over yourself. Bethesda have made their own, In-house engine with the tools to improve. 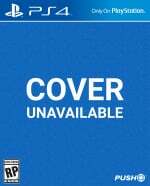 Gamebryo =/= Creation Engine. They can constantly make the engine better, without having to wait for Unreal or Gamebryo or whoever to release the next version, they have more, total control over their games design process and you give them gruff. What a tool. honestly. @jdv95 "because of the console makers not wanting that to happen "
Consoles are based on integrated technology, which limits the amount of capacity parts have. Modding on consoles is limited to mods that do not affect this capacity. And it will not expand as long as consoles will be a closed environment. The component capacity on PC hardware is much bigger giving it headroom for modding even those parts of the game that does increase the hardware usage. Never buy a Bethesda game on release. Wait 6 months until the console-killing bugs have been fixed. Better still, wait until the GOTY edition comes out. @Nithcraal , the difference between Bethesda and Unreal is that Unreal is constantly improving and pushing the envelope with what it's software can do. Bethesda has not made the same strives forward in performance and visual capabilities with their in-house environment. What's stopping them when they have total control over it and the corporate funding of Zenimax behind them? They have every opportunity to improve, yet they do not; hence the accusations of laziness and low-effort products. Your comment does more to illustrate why it's ridiculous that Bethesda has not brought their engine up-to-date than it does to defend them. I struggle to see the point in making next gen games using this engine. It would be outclassed by existing games from other studios even now, let alone whenever they plan to release ESVI. Shame, I loved Skyrim, but it was a pain in the neck for Playstation users; don't want to go through all that again!